NRA News Special Report, Ginny Simone Reporting: One commercial you won't see during the 2014 Super Bowl is an ad by gun manufacturer Daniel Defense. The spot, about a Marine Corps veteran who returns home and is determined to defend his home and family the same way he defended his country, was rejected by the NFL. Marty Daniel, president and chief executive officer of Daniel Defense, throws down the challenge flag. Tags: NFL, 2014, Super Bowl, refused ad, family, marine veteran, Second Amendment, ad, Daniel Defense, gun manufacturer, Ginny Simone, NRA, Special Report To share or post to your site, click on "Post Link". Please mention / link to the ARRA News Service. and "Like" Facebook Page - Thanks! 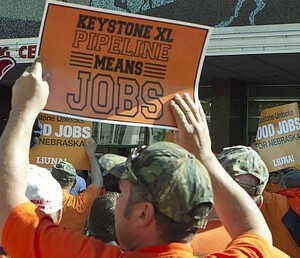 Tags: Keystone XL Pipeline, No More Excuses To share or post to your site, click on "Post Link". Please mention / link to the ARRA News Service. and "Like" Facebook Page - Thanks! Washington, DC – Ways and Means Committee Chairman Dave Camp (R-MI) wrote to Treasury Department Secretary Jacob Lew and Internal Revenue Service (IRS) Commissioner John Koskinen requesting all documents pertaining to 501(c)(4) rulemaking. Tags: IRS Targeting, conservative, 501(c)4 orgs, Rep. Dave Camp, Investigation, Ways and Means Committee, To share or post to your site, click on "Post Link". Please mention / link to the ARRA News Service. and "Like" Facebook Page - Thanks! 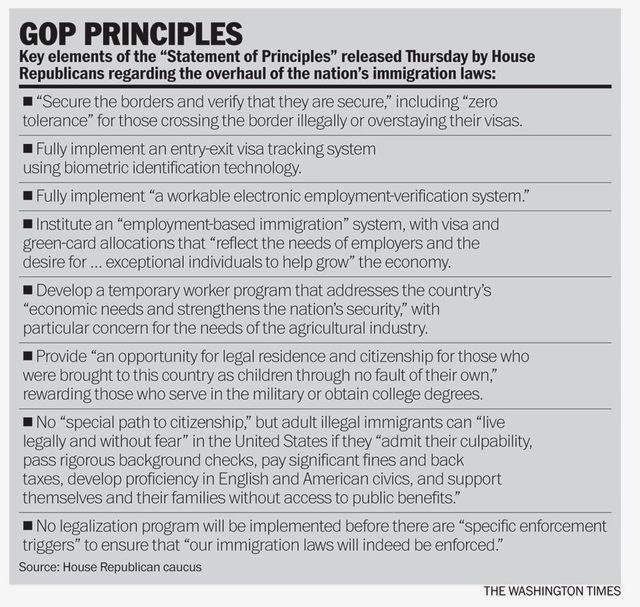 Gary Bauer, Contributing Author: House Immigration Principles Hold on to your hats, folks. House Republican leaders released their immigration reform principles at their caucus retreat yesterday, and all signs suggest we are headed for a bumpy ride. Reports indicate that the discussion over the principles revealed deep GOP divisions over policy and timing. It is clear from reading the principles that House leaders were struggling to balance competing interests. There is a lot of language about border security. That's good. It speaks of a step-by-step approach to reform and overhaul of the visa system. Fine. Obviously, criminal aliens and gang members would not be allowed to remain in the United States. But, unbelievably, Democrats have resisted this in the past. Now for the more troubling elements. The Democrats' DREAM Act is a central element of the plan. While rejecting a "special path to citizenship" for other illegal immigrants, millions would be permitted to "live legally and without fear in the U.S.," but their eventual status is murky. Democrats won't accept anything that does not include citizenship -- they want more left-wing voters. In fact, AFL-CIO President Richard Trumka blasted the principles as a "joke" and a "hoax," adding, "Without citizenship, it's a nonstarter." Of course the devil is in the details and we don't have any details at this point, just a statement of principles. But the greatest concern is how anything gets negotiated with Democrats who control the Senate and the White House. The Republican House can pass a great bill, but once Obama and Harry Reid are done with it, it won't be our bill anymore. "[House leaders] may or may not be right, but their argument is that we should focus exclusively on Obamacare and on jobs. In that context, why on earth would the House dive into immigration right now? …Rather than responding to the big-money lobbying on K Street, we need to make sure working-class Americans show up by the millions to reject Obamacare and vote out the Democrats. Immigration reform, budgets and taxes are all important issues. But I believe America's growing virtue deficit and the breakdown of the family are equally important, if not more so, to the survival of this great nation. Strong families are the foundation of strong societies and parents are the greatest role models in a child's life. Even when you think they are not paying attention, they are! So when the Inspiration Network recently approached my public policy organization, American Values, with a unique opportunity to promote the family, I gladly accepted. Together we produced an ad about the critical role parents play in developing the character of their children. Watch it here. Your support for our work makes opportunities like this possible. Thank you, my friends. When so much of the popular culture mocks and undermines traditional values, the Inspiration Network is a great alternative with family-friendly entertainment and classic shows you can enjoy with your kids. Please support them and their advertisers! Obamacare was supposed to help cure the crisis of too many uninsured Americans, right? Well, it seems the uninsured don't like Obama's plan. A new poll by the Obamacare-friendly Kaiser Family Foundation finds that uninsured Americans disapprove of Obamacare by a nearly 2-to-1 margin. Obamacare was going to make health insurance more affordable, right? That's not what is happening to thousands of businesses, including this Pennsylvania small business. Premiums went up 32% and deductibles went up much more. Millions of Americans have experienced similar instances of rate shock thanks to Obamacare. Why are so many Americans paying more for their health insurance now? Because, as the Associated Press reports, Obamacare really was all about the redistribution of wealth. Perhaps they thought they were signing up for Obama's free health care, but rate shock might also explain why an estimated 20% of Obamacare "enrollees" are not paying their premiums. Obamacare was supposed to provide more access to healthcare, right? Don't tell that to a lot of sick children in Seattle. Hopefully their parents will vote Republican this November! "No one's really listening to the president now. He has been for five years a nonstop windup talk machine. Most of it has been facile, bland, the same rounded words and rounded sentiments, the same soft accusations and excuses." Peggy was right. The Nielsen ratings are in, and Obama's address posted the worst viewership in 14 years. He's been losing State of the Union viewers every year, and that shouldn't surprise anyone. Re-runs always lose viewers. Tags: Immigration, U.S. House, Obamacare Blunders, Gary Bauer, Campaign for Working Families To share or post to your site, click on "Post Link". Please mention / link to the ARRA News Service. and "Like" Facebook Page - Thanks! The Senate is not in session today and will reconvene at 2 PM on Monday. On Monday, the Senate will consider the conference report for H.R. 2642, the farm bill. A vote on cloture on the conference report is scheduled for 5:30 PM. Yesterday, the Senate rejected 3 Republican amendments to S. 1926, the flood insurance bill, and then passed it by a vote of 67-32. The House met in pro-forma session at 3 PM for 5 minutes. Otherwise the representatives are meeting according to their political party conference in annual policy retreats to discuss positions on various issues. The Washington Times reports that "House Republican leaders have ruled out a special pathway to citizenship but do support granting some form of legal status and work permits to most illegal immigrants." Below is the GOP Caucus Leadership Statement of Principles regarding the overhaul of immigration laws which has been "met with anger from the right. Conservative groups." The State Department released its final environmental report on the Keystone XL pipeline. While knocking down a key argument of pipeline opponents—that blocking Keystone would stop Canada from developing oil sands, the report that NOT approving the pipeline would result in HIGHER greenhouse gas emissions. Which appears to be double speak, to the left that they don't want to do this but we need to have the the XL Pipeline for the greater good of "reducing greenhouse gasses - one of the touchstones of the Global Warming environmentalists. 42,100 new jobs. - $2 billion in earnings. - $3.4 billion added to U.S. GDP.
" .... Now, we’re in the National Interest Determination stage, where eight other federal agencies and the public can weigh in on whether approving the pipeline is in the nation’s national interest. Based on all that we know now about the jobs that will be created, the economic impacts, and its minimal effects on the environment, it’s clear that approving the Keystone XL pipeline is in America’s best interests." NOTE: On May 22, 2013, the House passed the bipartisan Northern Route Approval Act (H.R. 3), legislation introduced by Rep. Lee Terry (R-NE) that approves the Keystone pipeline and eliminates legal and regulatory barriers to its construction and the tens of thousands of jobs it will create. The Senate has refused to take up the bill. The president and his administration have stalled this project for far far too long. Keystone XL is supported by a majority of Americans, supported by unions, supported by Democrats, is an actually “shovel-ready” way to create jobs and would help reduce American dependence on oil from the Middle East. Will President Obama finally make the decision to support jobs and energy or will he once again side with the far Left? Tags: State Dept Report, XL Keystone Pipeline, House Republicans, Overhaul Of Immigration Laws To share or post to your site, click on "Post Link". Please mention / link to the ARRA News Service. and "Like" Facebook Page - Thanks! Bill Smith, Editor: When the U.S. and its allies went to war with Iraq's former dictator, Saddam Hussein, the U.S found the Kurds both welcoming and supportive. The Kurds had suffered under Hussein and hoped to be allowed to establish an independent state. Unfortunately, the American State Department and the White House pursued a one state solution verses allowing Iraq to be divided. The below article reveals that this one state solution is not working. 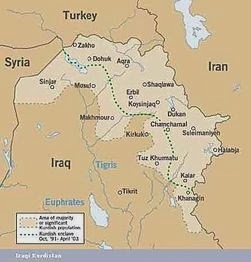 Interestingly, the Kurds have both the resources and the apparent will to become independent. And the the Kirdish Regional Government is willing to export oil from its region to Turkey. However Iraq's central government via its Oil Minister has threatened that "Iraq will take legal steps to punish Turkey, Kurdistan, and the international oil companies involved in exporting oil." Although the U.S. military were victorious in Iraq, the U.S failed in its diplomatic resolution of the war. Both the Bush and Obama administrations failed to understand or to accept major internal cultural differences in Iraq and focused solely on one state solution in an effort to buffer Iraq which they had before Hussein was removed. by Nicholas Cunningham: Iraq's Deputy Prime Minister for Energy Affairs firmly stated the central government will take action, "including fiscal measures," if Kurdistan begins exporting oil without coming to an agreement with Baghdad. The remarks came as Minister Hussain al-Shahristani spoke at a conference in London on January 28. The Kurdish Regional Government (KRG) announced in mid-January that oil had begun to flow through a pipeline towards Turkey and that exports would officially start by the end of the month. Yet it also appears that Kurdistan is pushing for much more than merely to export oil on its own terms. Ali Balu, a former head of Iraqi parliament's oil and gas committee recently stated that within a few years "Kurdistan is going to be rid of its status as a region within Iraq," according to an article in Rudaw, a Kurdish news web site. Balu went on, "a plan is underway for Kurdistan to be an independent state in the near future." © 2013 OilPrice.com. This article by Nicholas Cunningham was contributed to the ARRA News Service by James Stafford, the Editor of OilPrice.com - the leading online energy news site, Its news and analysis covers all energy sectors from crude oil and natural gas to solar energy and hydro. Tags: Iraq, threats, Kurds, Kurdistan, oil, Turkey, To share or post to your site, click on "Post Link". Please mention / link to the ARRA News Service. and "Like" Facebook Page - Thanks! 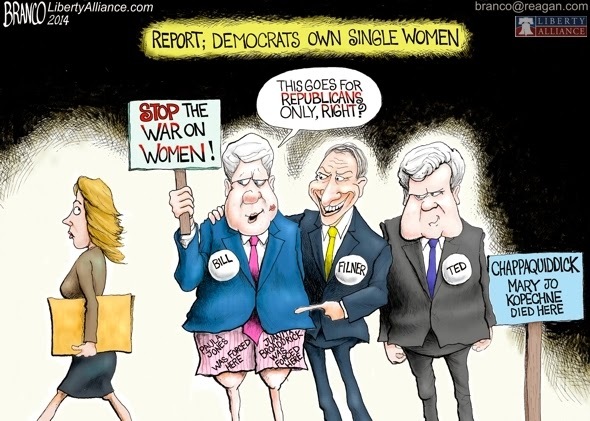 Tags: Democrats, women, Bob Filner, Ted Kennedy, Bill Clinton, scandals, editorial cartoon, AF Branco To share or post to your site, click on "Post Link". Please mention / link to the ARRA News Service. and "Like" Facebook Page - Thanks! Alan Caruba, Contributing Author: I cannot say it strong enough. Do not believe the lies that environmental groups, particularly those that receive millions from liberal foundations and from members who never question the “science” they claim to justify massive scare campaigns. 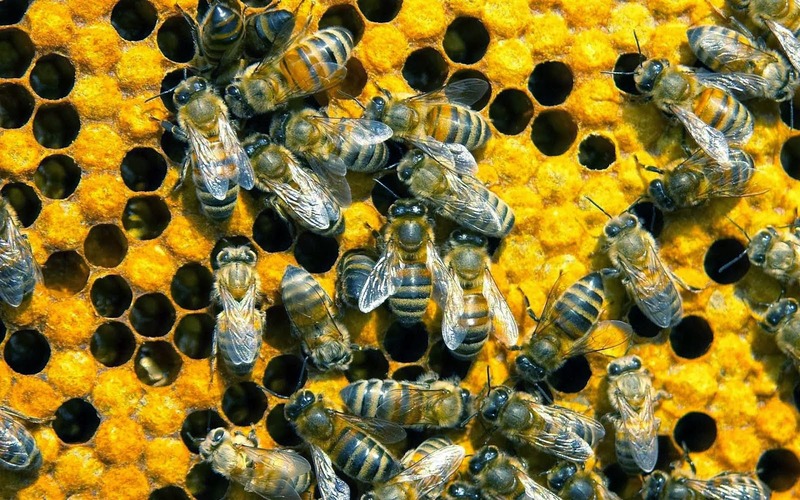 Why do I defend pesticides? Because, since the 1980s, I have served pest control trade associations by providing communications programs, too often ignored by the mainstream press. In the 1980s I worked for a corporation that produced one of the most extraordinary pesticides invented; one that was applied with water! It so alarmed the Environmental Protection Agency, that it insisted that its multi-million dollar registration be repeated and that company decided to cease making it available in the U.S. Tags: environmental lie, bees, bees thriving, Alan Caruba, Warning Signs To share or post to your site, click on "Post Link". Please mention / link to the ARRA News Service. and "Like" Facebook Page - Thanks! The Senate reconvened at 10 AM today and resumed consideration of S. 1926, the flood insurance bill. At 11:15, the Senate held a series of votes on amendments to the bill. Senators voted 34-65 to reject an amendment from Sen. Pat Toomey (R-PA), 24-75 to reject an amendment by Sen. Tom Coburn (R-OK), and 49-50 to reject an amendment from Sen. Dean Heller (R-NV). The senate then recessed until 1:50 PM when they will vote on final passage of S. 1926. Yesterday, the Senate voted 64-35 to waive a budget point of order against S. 1926. The House is not in session today. However, at a press conference today, House Speaker John Boehner (R-OH) addressed the Senate Majority Leader Reid’s recent comments opposing Trade Promotion Authority, and called on President Obama “to stand up and lead on this issue” to help boost exports and create more American jobs. Boehner said, "I think in order to maximize our year, it’s important that we show the American people that we’re not just the opposition party – we’re actually the alternative party. “We’ve passed dozens of bills this year that would help the economy, would help improve education, improve energy production in America, mostly sitting over in the United States Senate. But I think Republicans have to do more to talk about the better solutions that we think we have that will help the American people grow their wages, have opportunities at a better job, and clearly have a better shot at the American Dream. “Listen, we know that the president’s policies are not working. That’s why we need to show the American people that the policies that we’re in favor of really will improve their lives. Another comment regarding President Obama's use of lofty rhetoric about opportunity and his plan to revive the economy during his State of the Union address Tuesday night. Heritage Foundation economist Stephen Moore says the reality doesn’t match the rhetoric: "Opportunity for All is such an uplifting pro-America theme. But doesn’t this mean school choice? Doesn’t it mean cleaning up the crime and corruption in cities? Doesn’t it mean discouraging fatherless homes? Doesn’t it mean keeping tax rates low and regulations light so people can set out a shingle and start businesses? Obama has been the anti-opportunity society president." Recommend reviewing Heritage Experts Analyze President Obama's State of the Union Speech. Tags: Free Speech, IRS, Targeting conservative groups, Senator Harry Reid, blocking Trade Promotion Authority To share or post to your site, click on "Post Link". Please mention / link to the ARRA News Service. and "Like" Facebook Page - Thanks! by Ramsey Cox, The Hill: Senate Minority Leader Mitch McConnell (R-Ky.) accused President Obama of waging a war against free speech by changing the tax code to stop political organizations from claiming tax-exempt nonprofit status. McConnell said the administration is expected to change the Internal Revenue Services (IRS) code by more broadly defining political activity. The IRS got into trouble last year for targeting Tea Party groups by not giving them nonprofit, tax-exempt status. The administration is now changing the rules so politically active groups won’t qualify for the exemption. “They want those who disagree with them to sit down and shut up,” McConnell said. McConnell called on the head of the IRS to stand up against the administration’s “thuggery” and vowed that Republicans would continue to fight the IRS code change because it violated the First Amendment. "The new IRS commissioner has a simple choice: he can either restore the public’s trust in an agency whose reputation was already in doubt, or he can allow himself to be used as a political pawn by an administration that now seems willing to do anything to keep those it disagrees with from fully exercising their constitutionally-protected right to free speech," McConnell said. Senate Majority Leader Harry Reid (D-Nev.) defended the administration and said the action was needed because people like the Koch brothers "disguise" themselves as social welfare organizations even though their organizations are trying trying to unseat Democrats in Congress. "These social welfare organizations are extremely helpful, but the Koch brothers aren’t a social welfare organization," Reid said. "Folks who act as political organizations should have to disclose where the money comes from." 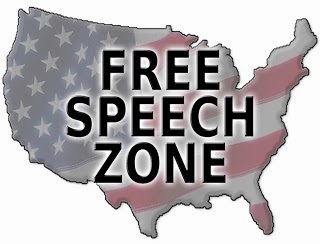 Tags: IRS rules, war on free speech, free speech, To share or post to your site, click on "Post Link". Please mention / link to the ARRA News Service. and "Like" Facebook Page - Thanks! Cynicism of the day: Life is full of oximorons. Is it true the President wanted to name something after one of his dream foxie ladies? Doubt it. But if so, how would he do that without being too obvious? Could the answer be by naming the new program MYRA? All joking aside . . .
On the serious side, the following Patriot Post article details more info on President Obama's new Nationalized MyRA program. The Patriot Post: One of the more puzzling proposals in the State of the Union address was the idea of MyRAs. Structured like a Roth IRA that invests in savings bonds, the federal government would guarantee these beginner investment accounts aimed at the poor. 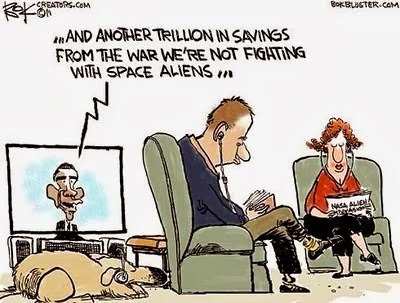 “It's a new savings bond that encourages folks to build a nest egg,” Barack Obama said. “MyRA guarantees a decent return with no risk of losing what you put in.” Naturally, he implemented the plan Wednesday with his infamous pen. Given that there are already many retirement-account options out there, we're left wondering what problem Obama is trying to solve. And as National Review's Kevin Williamson notes, “Does anybody know why savings bonds went out of fashion? Because they are a terrible way to save money.” Low-risk, low-return. In fact, the federal workers' program this seems to be based on had a return of less than 1.5% last year and 2.24% over the last three. While the principal protection would keep the account balance from going down, the account could still lose value if inflation outpaces the return. Given Obama's predisposal to nationalize everything, we question if this isn't the first step in doing so for retirement accounts. After all, just think about all the tax-free earnings sitting in IRAs that Obama wishes he could get his hands on. At a minimum, he seems to want poor, uninformed voters to invest more of their paychecks into the U.S. government. To the extent that MyRAs are used, that money will be invested in U.S. debt instead of private equity – at least until each account hits $15,000 and rolls into a private IRA. We have another idea. How about privatizing (even partially) Social Security? That's what George W. Bush proposed in his post-re-election State of the Union. Unfortunately, the idea never went anywhere, and Social Security, with its multi-trillion dollar liabilities, remains unsustainable. In fact, the MyRA proposal is a tacit admission that Social Security isn't going to be enough for younger workers. According to the Employee Benefit Research Institute, that's exactly the case: Baby boomers and Generation Xers need $4.3 trillion more for retirement than Social Security and savings currently provide. 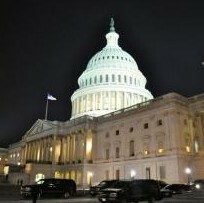 Tags: president Obama, SOTU, economy, MyRA, To share or post to your site, click on "Post Link". Please mention / link to the ARRA News Service. and "Like" Facebook Page - Thanks! Ken Blackwell, Contributing Author: No one in modern America has done more than President Obama to bring about inequality. His modern utopia is turning into a queuetopia. Under ObamaCare, Americans have to queue up even to sign up for health care. We will of course have to stand in ever lengthening lines to get his “navigators” to direct us to a real physician. It’s a queuetopia when the best he can offer in his State of the Union Address is a longer period of time to stand in the unemployment lines. Few of those who have to wait in those lines would prefer a government check to a real job. Queuetopia was Winston Churchill’s word to describe what the Socialists in Britain had brought to that once-proud island. Churchill also described the difference between free market economies and socialist centrally planned economies: “Capitalism is the unequal sharing of blessings; socialism is the equal sharing of miseries.” As more and more Americans find their health insurance plans being cancelled, plans that 85% of us were satisfied with, our trust in Mr. Obama’s word has dissolved. Now, 63% of Americans tell pollsters they do not trust this president to make the right decisions for our country. In his much-touted State of the Union Address, Mr. Obama told Congress to give the American people a raise. Do all businesses now belong to Congress? Do all employers have to look to Congress now for every decision they make? Congress once promised to live under the laws it passed. Now, Members of Congress and their staffs—thanks to the Obama administration’s edicts—will have subsidies paid for by you and me. These subsidies make sure they will not feel our pain when we face premium hikes for health care. No wonder it is said that in government, liberals live and breathe and have their being. President Obama deserves the sobriquet of Mr. Inequality because his administration from its earliest days has been taking an axe to the lowest rungs of America’s ladder of social mobility. We have long known that family—especially the two-parent, married family—is vital for upward mobility. So is regular attendance at a church or synagogue, and working for or starting a small business. These are great generators of upward mobility. We often say this woman or man was “the first one in her family to go to college.” It is understood that families can make all the difference in educational attainment, in celebrating young peoples’ achievement. This administration has promoted abortion-on-demand since its first days in office. New analysis from Family Research Council’s Dr. Henry Potrykus shows that liberal abortion can cost America more than one hundred billion dollars a year. And he’s been at it for five years. Single parenthood is one of the most important factors in social mobility. A new study from Harvard confirms this. Yet, Mr. Obama’s Treasury Sec. Tim Geithner virtually challenged Congress to cut Medicaid. He said that 40% of children born today qualify for Medicaid. This administration does not deplore out-of-wedlock births. The Obama White House invented “Julia,” their iconic cartoon character, who goes through her entire life tied to government programs. In 2012, they announced that Julia had “decided to have a child.” No husband. No marriage. She just decided. Another classic study “Who Escapes?” focused on the importance of church-going for minority youth. This 1986 analysis by the National Bureau of Economic Research has never been refuted or even seriously challenged. This analysis showed that young people in troubled neighborhoods still have a chance to escape some worse outcomes if they are regularly involved in their church or synagogue. The government cannot order young people to go to church or synagogue, but it should give space and respect for what have been called mediating institutions in society. This is especially important for youth being raised in single parent families. But the Obama administration threatens religious freedom more than any in American history. Whether it’s the Little Sister of the Poor or the Hobby Lobby Corporation and Conestoga Wood Company, these organizations have had to spend precious time and money racing into federal court to defend themselves from the threats to their consciences of HHS Mandates. Small businesses create most of the new jobs and provide most of the innovation in our economy for new products and services. The Obama administration has burdened small businesses more than any previous administration. Small businesses have been saddled with the burden of ObamaCare, in addition to increased taxes and strangling red tape. Education, of course, is important to upward mobility. Abraham Lincoln, self-educated as he was, always championed “the right to rise.” But this administration has been singularly hostile to the greatest education reform of them all—parental choice. No one should criticize President Obama for sending his beautiful and bright daughters to a stylish prep school in Washington, D.C. He also had the benefit of an exclusive prep school education—Honolulu’s Punahou Academy. What we criticize him for is his administration’s heartless efforts to crush school choice for children from low income households in the District of Columbia. This is unconscionable. But for Mr. Inequality, it’s policy. So we can consign his latest State of the Union puffery to the slag heap of history. Never before was so much said by so few that was so hurtful to so many. Ken Blackwell is a former U.S. Ambassador to the United Nations Human Rights Commission, former Secretary of State for Ohio. and a senior fellow at the Family Research Council. He is a contributing author to theARRA News Service. Tags: President Obama, Mr Inequality, queuetopia, socialism, Obamacare To share or post to your site, click on "Post Link". Please mention / link to the ARRA News Service. and "Like" Facebook Page - Thanks! Alan Caruba, Contributing Author: I didn’t take notes while President Obama gave his State of the Union speech. There was no need to. Tags: President Obama, One Speech too many, SOTU, Alan Caruba, Warning Signs To share or post to your site, click on "Post Link". Please mention / link to the ARRA News Service. and "Like" Facebook Page - Thanks! 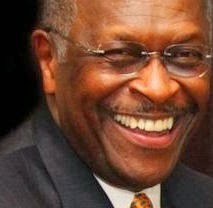 by Herman Cain: Distinctions. There's more Republicans have to do than just market themselves better. A lot more. But when President Obama delivered his latest State of the Union address, we already knew that it will be steeped in themes that reflect how Democrats view this nation. That presents a good opportunity for Republicans to draw a distinction between how Democrats see America and how they see it. There are crucial differences in the way the two parties think, and isolating them in clear ways helps to define the path forward in the contests coming this year and in 2016. 1. Role of Government. Democrats see government as the solution to problems. Republicans see government as functioning best when it's minimal so people can solve their own problems. 2. Unity. Democrats divide Americans into groups and offer different outcomes and benefits for each group. Republicans see everyone simply as Americans, and also as individuals, each of whom can pursue the outcomes they desire. Democrats divide. Republicans unite. 3. Wealth. Democrats want to confiscate wealth and redistribute it. Republicans want to see the wealth pie grow so that there is more to go around, and leave people with the freedom to pursue their goals without the government stepping in and telling them how much they can have or what they have to give to someone else. Democrats believe the amount of wealth that can exist is limited so government has to decide who can have how much. Republicans believe the amount of wealth that can exist is unlimited because it only depends on the tenacity of Americans to go out and produce it. 4. World leadership. 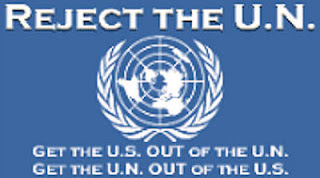 Democrats embrace the United Nations view that no one nation is any better than any other, and as such America should "lead from behind" by essentially giving over its global leadership role to the UN. Republicans believe America is the exceptional nation, and must lead. I believe that if Republicans successfully establish that these are the key difference between them and Democrats, they will find that the vast majority of Americans agree with them on all four. Now, as I said at the start, you have to do more than market and position yourself. You have to actually lead. And Republicans in Congress need to let go of the excuse that because they don't control the White House, there is nothing they can do to lead. That's not true. Leaders lead not because of the position they hold, but because they are leaders. If Republicans lead according to these principles, they will create a distinction between them and Democrats that will make the Republican Party the choice of Americans once again. Tags: Herman Cain, democrats, republicans, differences, thinking, key differences, role of government, unity, wealth, world leadership To share or post to your site, click on "Post Link". Please mention / link to the ARRA News Service. and "Like" Facebook Page - Thanks! by John Fund, National Review Online: [T]he Presidential Commission on Election Administration issued its report on improving voting in the U.S., and here’s hoping Americans pay attention to it. Our sloppy and archaic voting systems leave us tottering every election on the brink of another Florida-style electoral meltdown like the one we had in 2000. The president’s commission says that it’s finally time to address the systemic defects. One of its recommendations is earlier voting registration, including allowing people to register online. With proper safeguards, such as requiring that people be already listed in some existing government database through which they can verify their identity, such reforms are laudable. The commission also recommended greater use of technologies that compare registration lists across state lines and that allow purges of ineligible voters. A 2012 Pew Foundation study found, for example, that 2.2 million dead people are still listed as being registered to vote. As laudable or intriguing as many of the commission’s recommendations are, there are trouble spots in its report. The commission’s most controversial recommendation is to expand early and absentee voting, in large part to reduce the polling-place waiting times to 30 minutes or less, even though an MIT study found that the average waiting time on Election Day in 2012 was only 14 minutes. Convenience-oriented voting is popular, and one-third of the ballots cast in 2012 came in before Election Day. Most of the long lines that people complained about actually formed during early-voting periods, when only a small number of voting sites were open. If those voters had voted on Election Day, they would probably not have had long waits. But along with the convenience of early voting, there are clear risks and costs. Of the two methods, early voting is preferable because it takes place inside a building where poll workers can observe the process. Absentee voting is much more problematic because the ballots are cast away from the supervision of election officials, and coercion, manipulation, and fabrication can be a part of the process. While the commission endorses more absentee voting, it also notes the dangers involved. “Fraud is rare, but when it does occur, absentee ballots are often the method of choice,” it concludes. But the report says not one word about state-of-the-art measures that states such as Kansas have adopted to combat absentee fraud — for instance, having the voter include the last few digits of his Social Security number or a copy of a photo ID. It also ignores how hard it would be to integrate election observers into the process as early and absentee voting expand. 5. Fostering the communal aspect of citizens voting together. We were reminded just this week of problems associated with absentee ballots. Guerrilla videographer James O’Keefe released an undercover video of a meeting of Battleground Texas, a leftist group working to elect Wendy Davis, the Democratic candidate for Texas governor. The video shows the Davis supporters ignoring questions about whether forging a signature on a relative’s absentee ballot was legal. “People do that all the time,” said Lisa Wortham, pretending to cover her ears. Wortham is an attorney and a deputy voter registrar working with the group. A volunteer from the group adds her opinion: “I don’t think that’s legal, I’ll do like Lisa did — I didn’t hear you say that.” Other Battleground Texas workers agree but jokingly cover their ears and also pretend not to hear. The use of secret ballots cast in traditional polling locations can protect voters from being pressured, and it also guards against forged signatures and other kinds of tampering. Absentee ballots are vulnerable to these problems because people cast them in unmonitored settings where family members, employers, churches, union leaders, nursing-home administrators, and others can coerce the voter, which is illegal. The ability of political parties, candidates, and independent groups to appoint observers who can monitor polling sites and the casting of votes helps guarantee the integrity and security of our elections. Just this month, a vote-fraud scandal has rocked the town of Donna in South Texas. The school-board president, who had won reelection in 2012, committed suicide after accusations were made against three politiqueras, or vote brokers. “A woman who worked as a politiquera in Donna said paying cash or trading drugs for votes had been common in recent elections,” reported the New York Times. The politiqueras sit next to elderly and disabled voters as they mark their absentee ballots in kitchens and living rooms. Often they will leave with the marked ballots, promising to stamp them and mail them for the voter. Alabama provides another example of how absentee ballots have long been used to skew elections. Back in 1996, the state’s Democratic secretary of state Jim Bennett said, “We don’t use guns, tanks, and bullets to put political leaders in power. We simply allow absentee-ballot manipulation to undermine and quite possibly corrupt the system.” Bennett switched parties the next year in protest against the use of absentee ballots by old-time political bosses to steal elections in the state’s “Black Belt.” When African-American voters who were oppressed by political machines in the Black Belt went to civil-rights groups for help, their pleas were ignored. After all, these new political machines were run by African Americans. The lack of controls on absentee ballots brought Chicago-style vote-buying north to Wisconsin a decade ago. The NBC affiliate in Milwaukee, WTMJ, filmed Democratic campaign workers handing out food and small sums of money to residents at a home for the mentally ill in Kenosha, after which the patients were shepherded into a separate room and given absentee ballots. One of the Democratic operatives fled when she saw the NBC camera crew. A few years before, former Democratic representative Austin Murphy was convicted of engaging in absentee-ballot fraud in a Pennsylvania nursing home, where residents who were barely aware of their surroundings were an easy mark. In close races, a flood of absentee ballots can delay the results of elections for weeks and lead to fractious recounts. “Any time you have more paper ballots outside the polling place, the greater the chance of mistakes and delays,” New Hampshire secretary of state Bill Gardner, a Democrat, told me. “Getting final election returns appears to be the only area of life today where news travels slower,” says John Carlson, a Seattle talk-show host, who recalls that in 2000 control of the U.S. Senate hinged on counting late absentee votes from a close race in Washington state. The outcome — and who would control the Senate — wasn’t known until December 1. Early and absentee voting with responsible controls is fine, but it does increase the cost and difficulty of campaigns. Rather than focus their efforts on a single day, candidates now to have to maintain a full-time and fully funded pre-election operation for weeks before an election. People often tell pollsters that they think campaigns use too much advertising, take too many polls, and spend too much money. A greater amount of early and absentee voting will mean more of all three things. If present trends continue, at some point we will become a nation where half of us vote on Election Day and the other half . . . well, whenever. But the notion of an Election Day is embedded in a law passed by Congress in 1872, when it was stipulated that presidential elections should be held on the same day throughout the nation. With extended early voting, the concept of an Election Day — where people vote with roughly the same information and after all the debates have been held — loses most of its meaning. 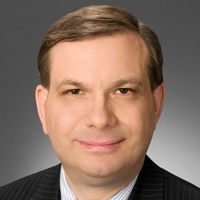 John Fund is national-affairs correspondent for NRO. He has also published several books on election problems and been an expert on in-side Washington Shenanigans for years. Tags: John Fund, elections, voting systems To share or post to your site, click on "Post Link". Please mention / link to the ARRA News Service. and "Like" Facebook Page - Thanks!